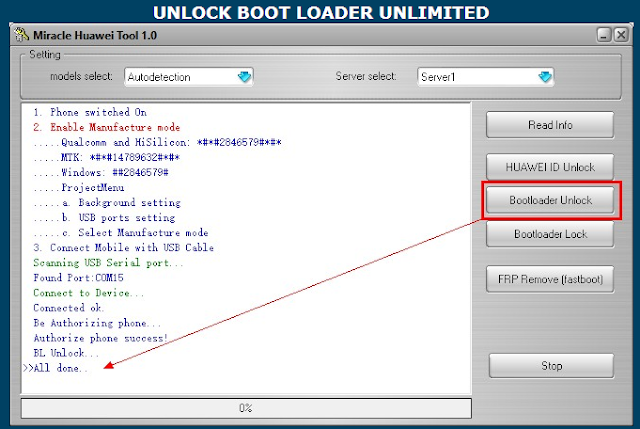 Miracle Huawei Tool is a small application for windows which allows you to repair all Huawei device, SUPPORT 99.9 HUAWEI MODELS Unlock all Huawei Android smartphones and Tablets, Unlimited Reset Huawei FRP. Unlimited Reset Google FRP. Unlimited Unlock Boot Loader. Unlimited Reset Pattern Lock. Unlimited Huawei ID Unlock, MIRACLE HUAWEI TOOL Version 1.1 Its latest version is released and available for directly download from our website. If you are interested into download the latest MIRACLE HUAWEI TOOL Version 1.1 than simply follow the link given at the bottom. It is free to download and very easy to use. 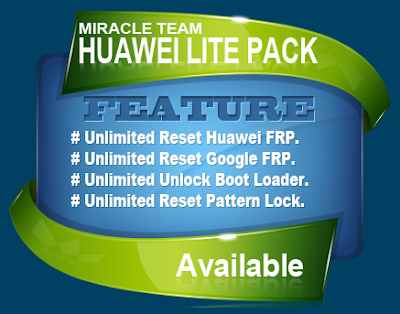 So download and enjoy the new MIRACLE HUAWEI TOOL Version 1.1 on your PC. Note For Use This Pack Must Buy Huawei Lite Pack from your Dealer. How To Buy Contact your Nearest Miracle Team Dealer. Give Your Miracle Key Serial Number & Pay. This Pack is Unlimited for 1 Year. Disclaimer : Please read the terms and conditions carefully before using PMIRACLE HUAWEI TOOL Version 1.1 Use of this software indicates you accept the terms of this license agreement and warranty. MIRACLE HUAWEI TOOL Version 1.1 (this software) is provided "as-is" and without warranty of any kind, express, implied or otherwise, including without limitation, any warranty of merchantability or fitness for a particular purpose. In no event shall the author of this software be held liable for data loss, damages, loss of profits or any other kind of loss while using or misusing this software.